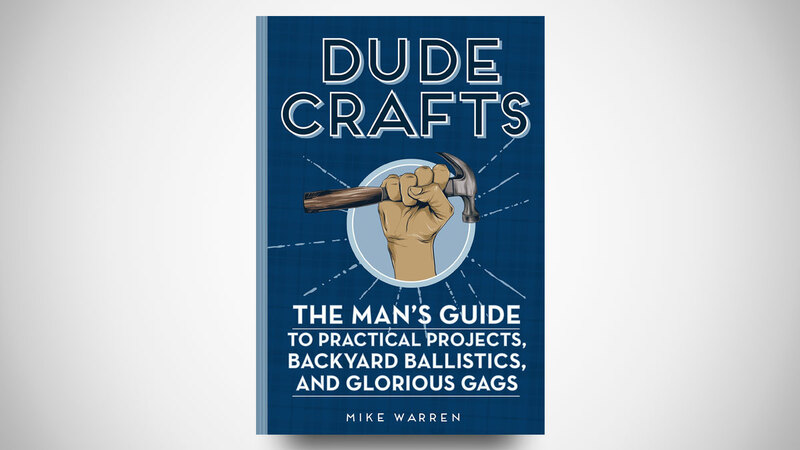 Dude Craft: The Man's Guide to Practical Projects, Backyard Ballistics, and Glorious Gags is author Mike Warren's collection of 50 "slightly twisted, but somehow useful" projects that will keep makers' fingers busy, and couch potatoes' fingers involved in something besides the Switch controller and the bowl of Flamin' Hot Cheetos. Craft an iPad cover from an old book. 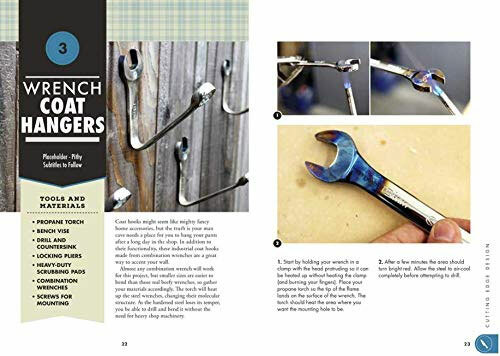 Build a metal forge out of a busted microwave. Cook a meal in the dishwasher. Re-purpose an electric saw into a cocktail blender. Fashion a Swiss army knife for your keys. Outfit an unsuspecting co-worker's office chair with an air horn. Give your friend Cornelius an atomic wedgie without ever touching him. OK, that last one might be missing from the current edition of Dude Craft. 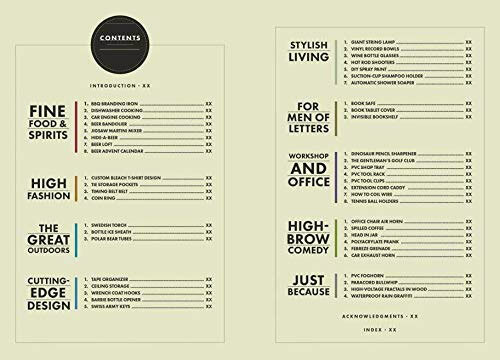 But maybe Mike Warren will take note of my suggestion for Dude Craft: Volume 2. All Craft-y projects are broken down into parts lists and step-by-step instructions with plenty of photos. Many of the ingredients you'll need to bake up everything from sweet life hacks to sweet revenge are items you might otherwise toss out, or things someone else already has. Dude Craft Lesson 1: dumpster diving!